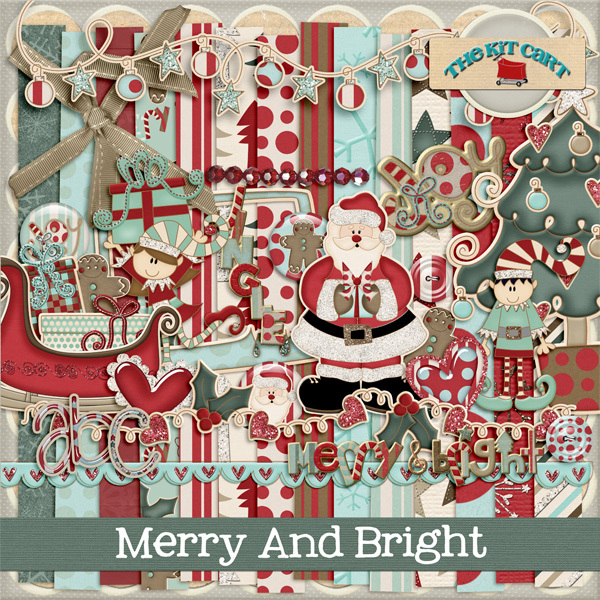 The Kit Cart: Day 6 Christmas Freebies!! Today is my babies 12th birthday...I can't believe its been 12 years since the day she came into this world. Funny how certain days are so vivid and others just a blur. So to celebrate we are heading to Benihana's for dinner and then back home for cake and presents. Now when I say us I mean ..My mom and my younger brother and sister (twins that are 14), my older brother, his wife and two girls, my dad, my husband, our son, my daughter and of course myself. Oh and my oldest sister is on her way from Colorado and is trying to make it in time...but not so sure at this time. So its gonna be a party!! 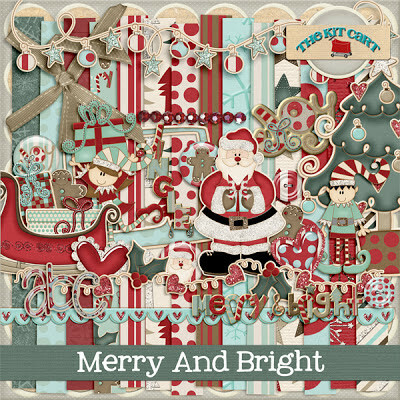 So on to your freebie...today I have day 6 its another Tag from the Merry and Bright collection. Cute and sweet...Be sure and check out the 50% off sale on all Christmas items because it ends on the 24th!! thanks so much for the awesome freebies for day 5 & 6!